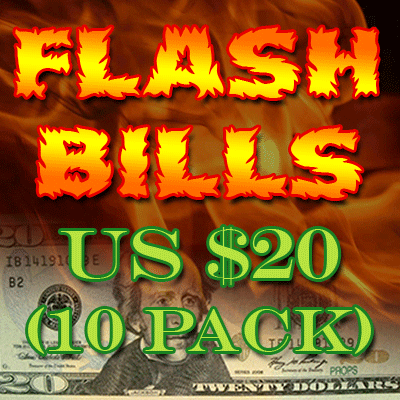 Today, when you order "Flash Bill Ten Pack ($20.00)", you'll instantly be emailed a Penguin Magic gift certificate. You can spend it on anything you like at Penguin, just like cash. Just complete your order as normal, and within seconds you'll get an email with your gift certificate. From a distance, these look pretty good. They create a very bright yellow flame as they burn out. The only problem is that they vary greatly between bills in the pack. Some work well, while others are noticeably orange or too yellow. 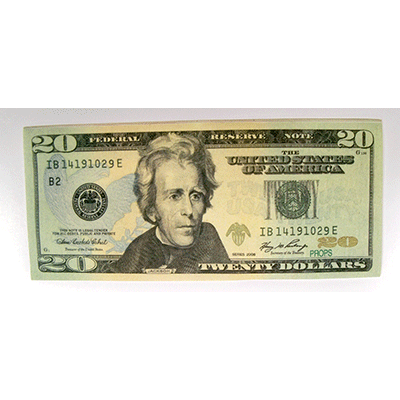 If you fold them just right, you can make the switch fairly unnoticed (if you are using the newest design twenty dollar bill in your act). You'll have to keep moving though, as any close examination will blow the illusion. These look very realistic from one side. I highly recommend them.